If you tend to overeat unconsciously when you're sad, anxious, exhausted, stressed, emotional or bored, then you are a prime candidate for hypnotherapy. Hypnotherapy can help you make behavioral changes in your eating and exercise habits, as well as motivate you and help you enjoy the process of managing your weight. However, hypnotherapy for weight loss is more of a journey than a quick fix. All of these can influence the degree to which hypnotherapy is effective for weight loss. There are different techniques that hypnotherapists use for weight loss. Every hypnotherapist is a bit different, but almost all will begin with Suggestion Therapy. This is the most common and basic hypnosis technique used in weight loss hypnosis. The therapist will guide the client to relax and get into a hypnotic trance. Once in that state of heightened awareness, the client is able to receive suggestions directly into their subconscious mind. Suggestion therapy is one-way communication in which the therapist makes suggestions that reinforce the desired weight loss. For example, if you can't resist chocolate, a therapist might suggest: "You have no desire to eat sticky sweet chocolate. In fact, you only enjoy wonderful flavors of healthy foods that are good for you." Once in hypnosis, the therapist will also put your imagination to use. As an example; a therapist may take the client into the future and guided her to visualize the long-term consequences of reaching her weight loss goal. This can help give the necessary motivation to continue, as well as cementing positive expectations in place. There are individuals with deeper emotional issues who don't respond to the usual Suggestion Therapy. Sometimes clients want to lose weight but have underlying conflicting emotions that get in the way. With analytical hypnotherapy, such a conflict can be discovered and resolved. Analytical hypnotherapy, such as Past Life Regression Hypnotherapy, involves two-way communication between hypnotherapist and the hypnotized client. This conversation makes it possible for the therapist to locate what's inhibiting the weight loss. As an example, a client and therapist might find that the client starved to death during a past life and now feels she can never get enough food to eat. Finally, after a series of weight loss suggestions, the hypnotherapist slowly transitions you out of your relaxed, hypnotic state back to normal waking consciousness. An average weight loss session lasts between 45 minutes and two hours, depending on the time parameters set by you and your hypnotherapist. Do you have any health issues and what medications are you taking? Have you always been overweight? Is it a family trait? What weight do you want to achieve? Is it realistic? Over what period of time do you want to reach this weight? What diets have you tried? Were any successful in dropping your weight? What foods are your greatest stumbling blocks? Do you eat when you're not hungry? If so, why? What have your primary hurdles been to losing weight? Do you binge on anything? If so, what? Armed with the answers to these question and others, your hypnotherapist can create a plan of action and use a variety of techniques related to your answers. Although working in person with a hypnotherapist who has some understanding of your specific life and behavior patterns is the most effective way to lose weight with hypnosis, this video provides an example of what you can expect. After a hypnotherapy session and an individual normally regains waking consciousness, it's common for them to feel refreshed and relaxed with a positive change in mood. Although it's rare, there are individuals who experience relaxation-induced anxiety and brain fog. 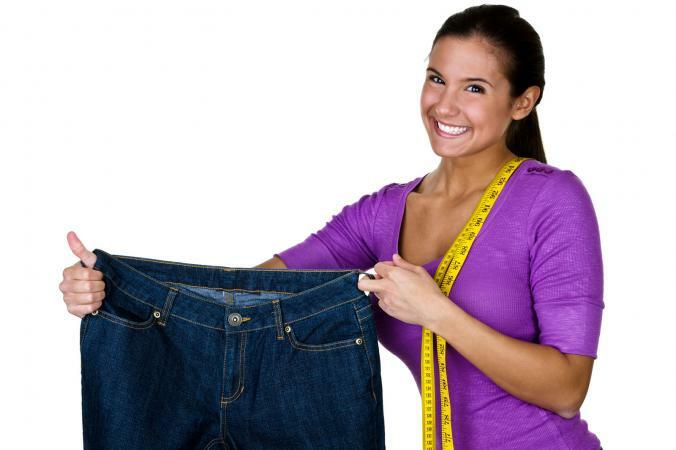 It's best to work with a hypnotherapist who is certified in Hypnotherapy and Weight Loss. To find a practitioner near you, visit the directories published online by the American Hypnosis Association (AHA) and the National Board for Certified Clinical Hypnotherapists (NBCCH). There are many ways to lose weight, from magnet therapy to a variety of extreme methods. Hypnosis can be a powerful tool for weight loss. It can reprogram your subconscious mind with positive thoughts, beliefs, motivations, and behaviors that can move you toward your weight loss goal. However, don't expect a hypnotherapist alone to transform your body. You can't leave a hypnotherapy session ten pounds lighter; it just doesn't work that way. Just like a golf coach can teach you to swing and putt, your success depends on your willingness to get out on the course and practice. The same is true with what you can learn through hypnotherapy.